The first half of the day consisted of a battle with a strong headwind. My morning culminated in disappointment and exhaustion when I realised I had to ride 10km further than what I thought I did to reach my planned lunch stop. I rested at Roebuck Roadhouse for a while, treating myself to a burger and chips, can of coke, Powerade and two ice creams (all on top of my normal packed lunch!). I feel like I’m returning to caveman times, surviving on relatively little food for a while (now it’s dried fruit, nuts and beans) before gorging myself with a huge feast whenever more becomes available. As I ate I contemplated my options. 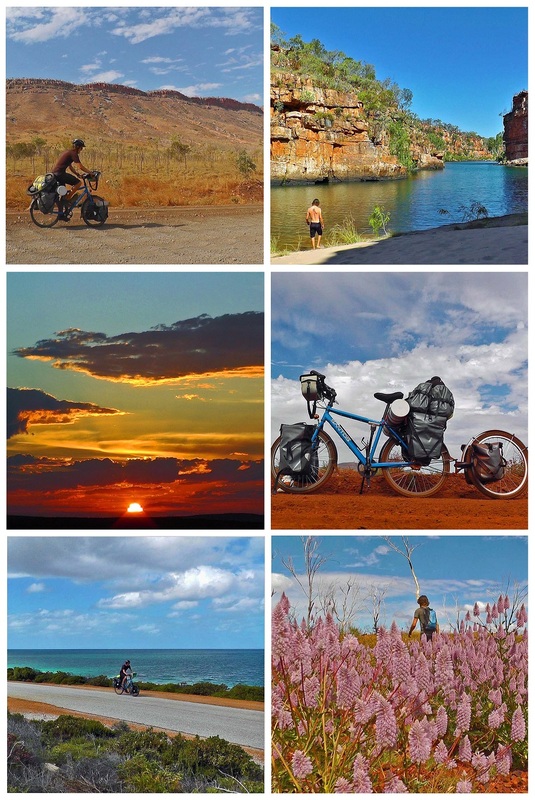 (1) I could ride into Broome. (2) I could stop and spend the night at the roadhouse. (3) I could push on towards Derby. I chose number 3. And wow-oh-wee I almost forgot what it was like to have a tailwind. Turning east from the roadhouse, I flew along at almost double my previous pace. The world is changing around me as I leave behind the long boring stretch skirting the Sandy Desert and enter the Kimberley. Australia has cuisine.. Oh God.. Though it was deserts, fire and out backs..
Haha if you call meat pies and burgers cuisine, then yes, we have great cuisine!